The president of the Madeira Government announced this Saturday the financial support of the regional executive to create the project of the Museum of Vine and Wine, as well as to the winegrowers in case of problem of disposal of the grapes. “You can count on the financial support to move forward with the Wine and Wine Museum,” declared Miguel Albuquerque within the framework of the initiatives of the Madeira Wine Festival after the allegorical parade, which took place this year in the parish of Estreito de Câmara de Lobos in instead of on the streets of Funchal. Miguel Albuquerque responded, thus, to one of the pretensions of local autono- mical officials. The official also assured that the Regional Government will continue to support the factors of production of farmers and winegrowers. “If there are problems with the disposal of the grape, the Regional Government will support and resolve the situation,” he said. This year, according to data from the Institute of Wine, Handicraft and Embroidery of Madeira (IVBAM), a break in production is expected between 30 and 40%. 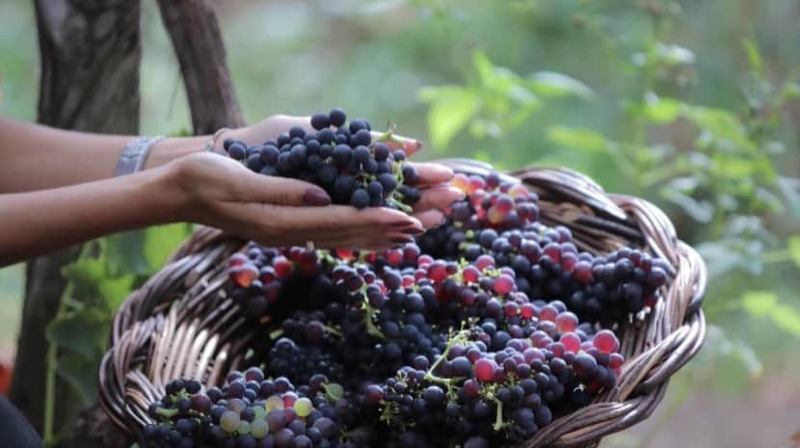 According to IVBAM statistics, in the harvest of 2017 (wine year 2017-2018), the total production of Vitis Vinifera grapes in the Madeira wine region was 4,516 tons, which generated 3.07 million liters of liqueur wine with a Denomination of Origin (DO) “Madeira” or “Madeira Wine”, 1,035 hectoliters of wine with DO “Madeirense” and 162 hectoliters of wine with Geographical Indication (GI) “Terras Madeirenses”. In the first half of 2018, Madeira Wine production and marketing increased by 15% in quantity (1,721,537 liters) and by 11% in value (9,485,683.77 euros), compared to the same period in 2017. The Madeira Wine Festival is one of Madeira’s tourist posters, which began on August 28 and ends on Sunday, with the Secretary of Tourism and Culture choosing to reinforce the street festival. The Regional Government of Madeira this year invested 263,000 euros in this poster (less 5,000 euros than in 2017), with a tourist occupation rate of 88.3% (1.7% less than in the previous year), “but does not include the local accommodation, “said the regional secretary of Tourism and Culture, Paula Cabaço, in the presentation of the event that animated the center of Funchal this week.